Are you looking for customized ID card solutions for your organization? Screen Check is the answer to your problems. 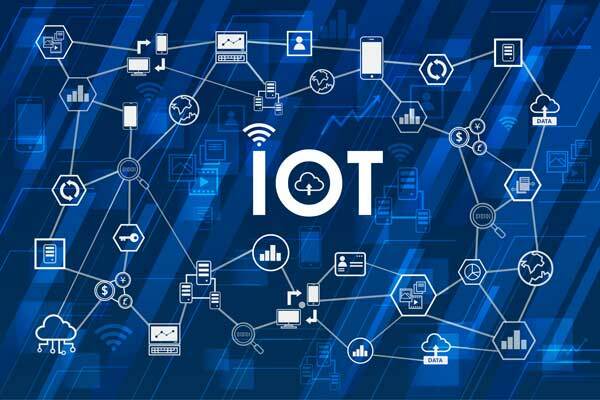 They provide end-to-end solutions in Time & Attendance, Access Control, CCTV, RFID Solutions, People Tracking, Asset Tracking, ID Card Issuance, Vehicle Tracking, Visitor Management, Smart Card Solutions, University Solutions, Customer Loyalty, e-Purse etc. They distribute world class products in Identification, Biometrics, RFID, Video Surveillance. In short they are the one stop solution for all the customer needs. Being a manufacturer-authorized Auto ID distribution hub catering to the security verticals of the Middle East and African regions, Screencheck ME FZ L.L.C., encompasses multiple and world famous much sought-after brands of ID Card printers, top-listed biometric products, world rated banking equipment and state of the art security related products. It has become increasingly important to have identity cards in corporate offices, health care centres, and other organisations. ID cards not only help the security personnel differentiate employees from visitors, but also allow them to track people movement inside the work area. These days it has become important for any corporate company or even an educational institute to have ID card solutions. In most places, ID cards are not just used to gain entry into the office premises. They are also used to track attendance and employee’s time in and time out. The magnetic strip embedded in the identity cards also checks employee’s movements into restricted areas. The ID card allows access control to parking lots, server rooms, laboratories, and other sensitive areas in the office. The identity cards of the company are not only useful for security purposes, but also to enable better employee accountability and build local brand recognition. 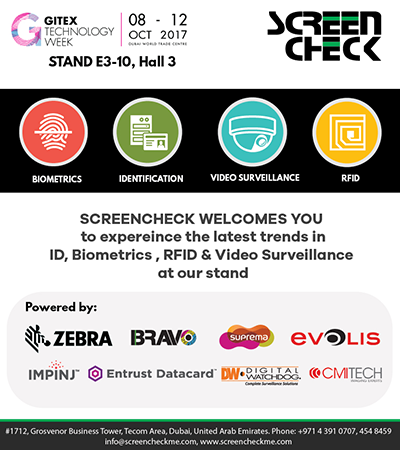 Screen Check offers customized identification solutions for all kinds of enterprises and institutions. 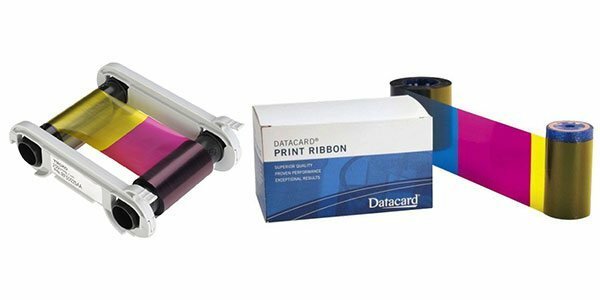 We are one of the reputed ID card printers in Dubai. 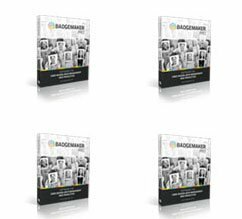 Screen Check ME offers ID card printing software for government agencies, health industry, corporate companies, educational institutes, transportation agencies, as well as enterprises in the finance and banking sector. Our ID card solutions are tailor-made to suit your specific needs and purposes. Our identification solution covers the entire aspect of issuing ID cards including normal ID as well as Secure ID. 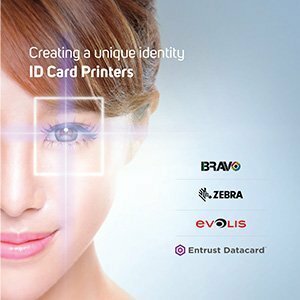 As partner to the world’s leading brands of card printers we bring you fully customizable world class software providing end to end solutions for all your ID card requirements. They have successfully rolled out many projects in the government, semi-government & private sectors covering crucial verticals of the military, police, education, retail etc. including huge card issuance like the drivers’ license, vehicle registration, public ID, instant issuance of bank credit/debit cards, e-purse, customer loyalty solutions etc. Their expertise in implementing these solutions has elevated their credentials as the most preferred auto ID distributor in the Middle East and African regions. Screen Check offers a wide range of world’s well known and most competitive brands at competitive prices. Screen Check provides its customers products and services customized according to their needs. Organizations are now switching to smart card and screen Check has become the first choice in terms of efficiency as well as cost. ScreenCheck caters to a diverse array of sectors as the leader in the sphere of providing a comprehensive range of solutions in the field of identification and security solutions. They have proved their expertise in areas such as transport, government, banks and financial institution, retail, health and education. Before the introduction of advanced time and attendance machines, it was just a clock and a paper card. This made it an extremely tedious task to manage, analyse and implement the data into payroll solutions. 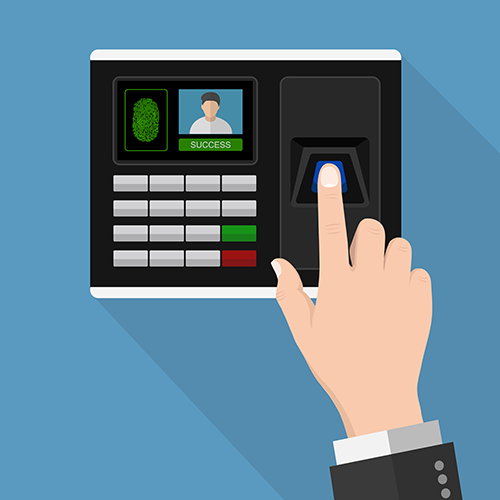 The Biometric Machines of today; with these innovations in Time and Attendance systems all the calculations are already done and ready. Moreover, finally the one word everyone dreads, paperwork. Sorting, managing, and processing paperwork can be incredibly time-consuming and prone to errors; Screen Check makes it easier for you. You can spend less time and resources on paperwork as the accompanying software directly computes the data and integrates it into your payroll solution.